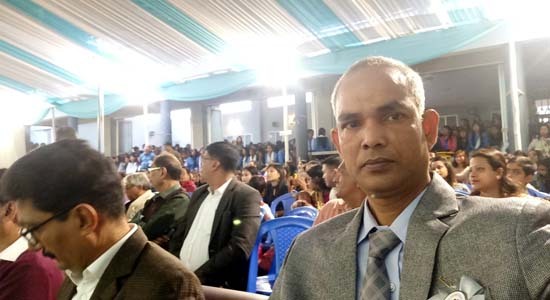 Shri Digamber Jain Girls’ College, Dimapur, fondly called S.D. 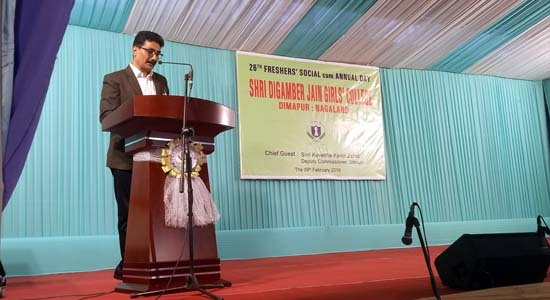 Jain College or Jain College, was established and sponsored by Shri Digamber Jain Samaj, a minority socio-religious organization, in the year 1993. 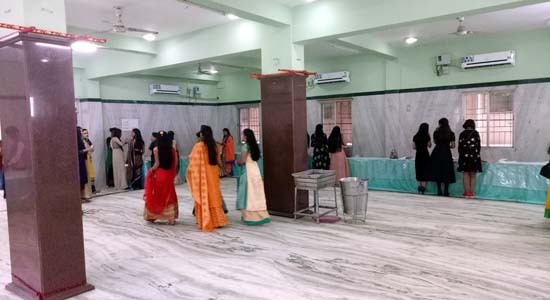 The Samaj conceived this noble idea and started the college specifically to encourage and foster higher education and learning amongst the girls and also as a token of this small society’s sincere concern and care for women education. According to the founder Secretary Shri Chandmal Sethi, only four students took admission in the first batch. 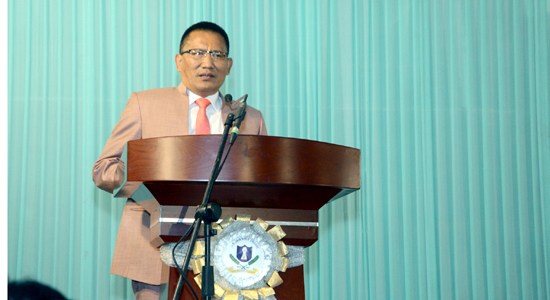 And now, it has earned the reputation of being the first choice of many students in and around the the state of Nagaland. We are grateful to our well-wishers and all those noble souls for having accredited the S. D. Jain Girls; College, with such accolades. We are humbled. Your appreciation will always add extra motivation for us go the miles. 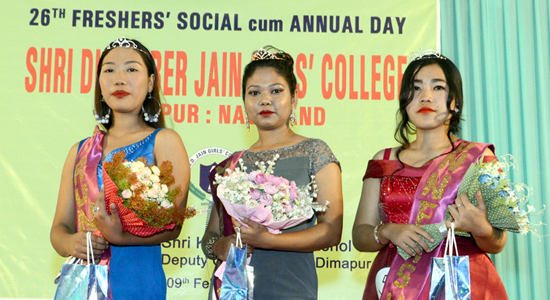 Our Mission: Shri Digamber Jain Girls' College, Dimapur in the state of Nagaland, would strive to prepare young girls as responsible citizens of tomorrow. 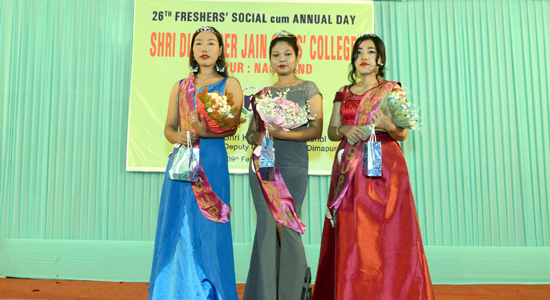 The college was established to promote collegiate education in arts and commerce subject among the girls student in the state of Nagaland and to install into the minds of each student the feelings which shall give them an all-round personality firmly based in humanitarian values with a libertarian outlook, scientific temper, mutual co-existence and national development. The aim and objective of the institution is to prepare young girls as responsible citizens of tomorrow; and the College Management spares no means to achieve this goal. The College strives to be an institution of excellence imparting quality education in Arts & Humanities and Commerce for under graduate (UG Degree) courses under the Nagaland University. The IGNOU Study Centre (SC-2033) meant exclusively for girls is up and running through which our alumni and others as well, unemployed or working part-time, or even full-time, may pursue higher studies here itself. 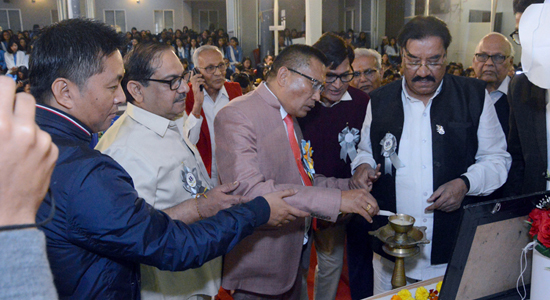 Shri Digamber Jain Samaj, Dimapur, has already been sponsoring S.D. Jain Higher Secondary School which is one of the reputed schools in the state of Nagaland since 1947. The Samaj is also sponsoring Shri Bhagawan Mahavir Charitable Dispensary providing free medical care to the people since 1974. Its main aim is to focus on the educational upbringing of the girl child.